Earlier this spring, around May 2018, Barley Cup announced that it would no longer manufacture its barley, rye and chicory-based beverages as gluten free and would drop its Coeliac UK certification. Previously, in October 2017, US-based independent gluten-free testers Gluten Free Watchdog released a test report on the product, using both the sandwich R5 ELISA (for intact gluten) and the competitive R5 ELISA (for fragmented gluten). The sample tested below the lower limit of quantification for the sandwich R5 ELISA of 5 parts per million of gluten. The sample tested at 39 ppm and 38 ppm gluten when tested with the competitive R5 ELISA. A worrying result — roughly double the maximum permitted concentration for a gluten-free food (20 ppm). I first contacted Barleycup a few months ago in early July to ask for further information and the rationale behind the decision, and after a little toing-and-froing and chasing, eventually received a response from Community Foods — their UK distributor — at the end of August. The manufacturers of Barleycup have made the decision not to manufacture Barleycup as gluten free from June. This is due to the continual increase of ingredients and manufacturing costs associated with adhering to gluten free standards. It was felt that these costs would prove to be unacceptable to the majority of consumers, and hence the difficult decision to revert to a non-gluten free version. Deliveries arriving into the UK (from the country of manufacture, Poland), now no longer carry the Coeliac UK logo and all references to gluten free have been removed. Last week, unexpectedly, I received further information from Lucyna Glowczak, Brand Manager of Barley Cup, via their UK PR. Glowczak reiterated the increased costs of the ‘special manufacturing process’ used to make the product, which uses a liquid extraction process involving ‘washing’ the gluten-containing ingredients so that water-soluble ingredients from the roasted grains separate from the non-soluble gluten proteins, and then drying the resulting liquid. Consumers can rest assured that the taste of Barleycup will not change. 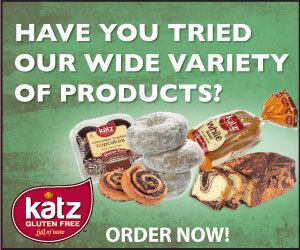 The inclusion of gluten does not affect the taste. These manufacturing changes will not affect an Barleycup products currently on sale with the Crossed Grain Symbol displayed on pack. But once stocks of the gluten-free Barleycup products are sold out, they will be replaced on shelf with Barleycup that is no longer gluten-free. The product has a long shelf-life, so if you safely drank it in its GF-labelled form, you may like to stock up on any lingering stock, bearing Gluten Free Watchdog’s testing results in mind. After that’s gone, it’ll be a no-go for coeliacs. Coeliac UK have yet to update their FAQ question on the matter, but I would expect them to very soon. And Holland and Barrett are still selling it as a GF product, at least on their website, so I presume they still have GF-labelled stocks. H&B have just delivered non-gluten free Barleycup to us against an order for gluten free. Beware! Ouch … thanks for the tip.